Business and client management tools for personal trainers. 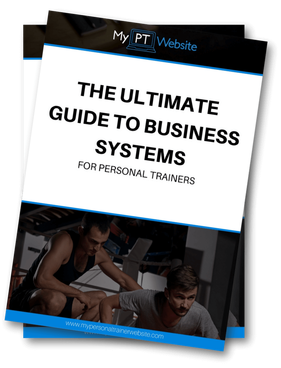 The best systems for managing clients, online training, taking payments and marketing for personal trainers, plus exclusive fitness marketing and PT business insights not found in the blog. ​Business management involves managing your day to day business activities including client management, invoices, sessions and the confusing legal tasks. The business management tools below are the best we've found on our internet travels and will continue to be updated regularly. Disclaimer: My Personal Trainer Website NOT affiliate with third party sites so rest assured this list of tools is based on our 100% genuine opinion. PT Minder is a client management system that makes it easy for personal trainers to create packages, take booking and manage invoices and payments. Workouts and meal plans however, are up to the trainer and may require separate software. The free PocketSuite app lets you manage your client appointments, payments and contacts. With PocketSuite you can sell services and packages, schedule classes online, set up recurring payments and send waivers to be signed and returned. ​Go Team Up enables personal trainers to organize and automate administration in their fitness business. From scheduling and billing to memberships and waivers, teamup saves you time and money by making your business run smoothly. GymCatch is a business management tool that enables you to take payments, manage clients, schedule classes and sell packages. GymCatch also syncronises with your existing calendar and embeds on your website for a fully customised look. While it's not structly built for personal training, I personally believe 17hats is one of the best client management tools out there. So much so, I managed to run build and continuously take care of more than 250 personal trainer websites... by myself. The app has been my trusty virtual assistant for years and has great potential in the fitness industry. GoCardless is without a doubt one of the easiest to use payment tools in the UK (and soon to be worldwide). GoCardless offers loads of cool features like payment links for your site and recurring billing. It's a direct debit system so you may need to wait 5-7 days for you money but well worth it for the low fees and ease of use! Paypal is getting a mention because it should not be ignored as a payment option. Why? Your clients more than likely know, like and trust Paypal and will therefore more than likely trust your business more as a consequence. Especially good for international payments. helloSign enable you to sign documents or request signatures from your clients. And when the document is fully executed, everyone gets a copy delivered to their inbox. See your documents progress with status notifications that keep you in the loop throughout. TermsFeed offers various legal agreements drafted by professional lawyers. All of their forms are fully customizable. You can build a form using their customized form generators, or you can download various free templates and put your information in yourself.